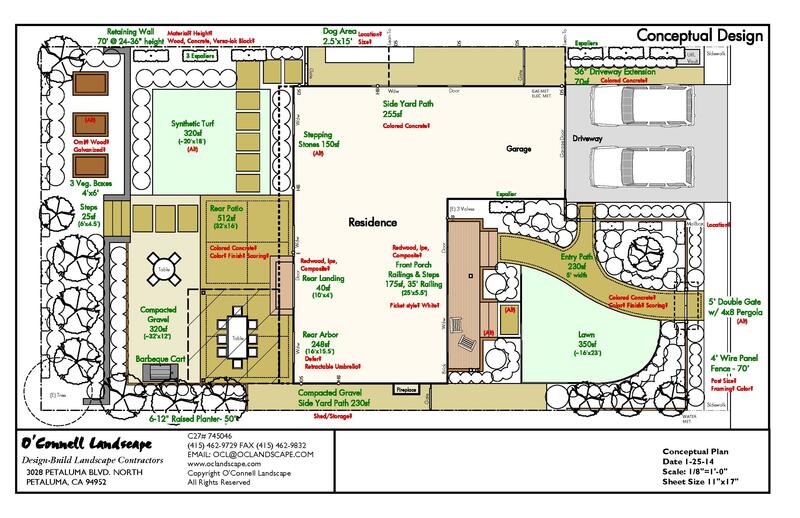 Here are some conceptual drawings from a project we are working on in Petaluma. 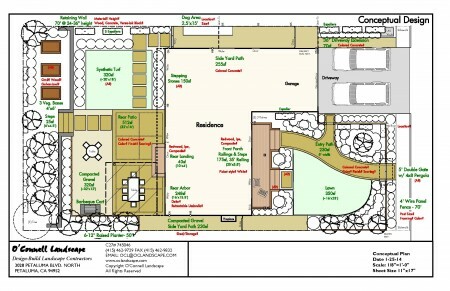 The design focuses on an overhaul of the front and rear yard, creating new usable rear patio and synthetic lawn spaces. In the front a new picket fence provides definition, while a revised entry path and porch will change the whole look of the front yard.